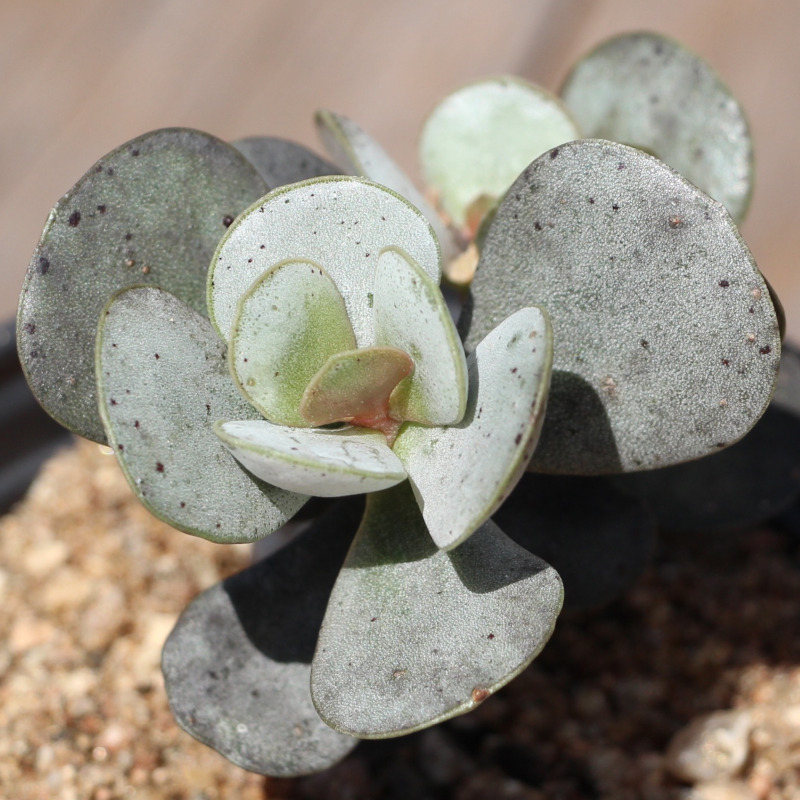 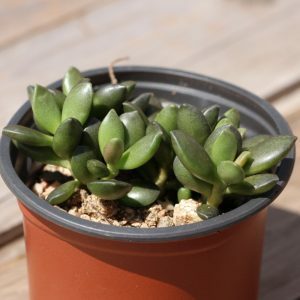 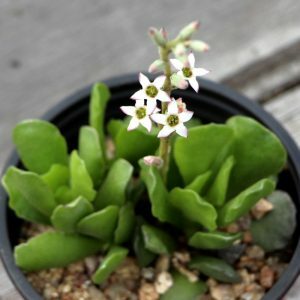 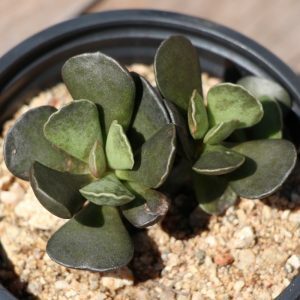 Adromischus Cristatus or commonly known as the Crinkle Leaf Plant is a compact and rather slow growing succulent from South Africa. The branching green to grey-green stems are triangular and have a curious crinkle to their edge. 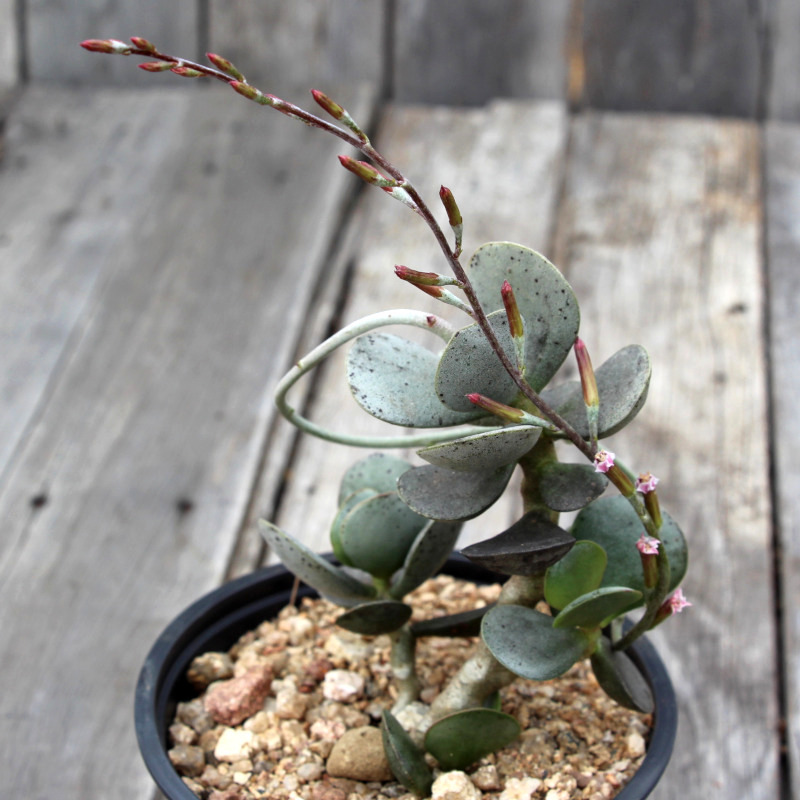 When flowering the Crinkle Leaf will grow long narrow stalks that will parade white and hints of red in its petals.